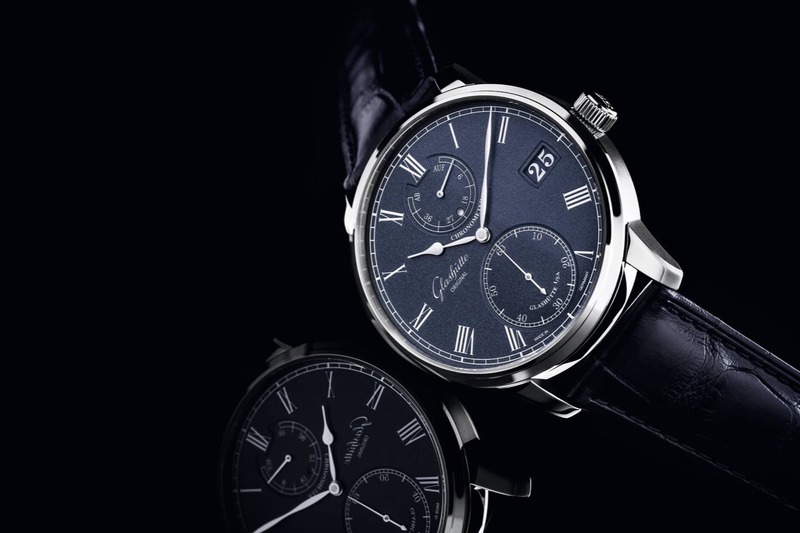 Glashutte Original - Sophisticated technology - the funktions of the Senator Chronometer. Sophisticated technology - the funktions of the Senator Chronometer. Sophisticated technology - the functions of the Senator Chronometer are driven by the sophisticated manual winding Calibre 58-01. Among its features is a refined second-stop mechanism: when the crown is pulled out, the time display stops and the seconds hand is reset to zero and held there; simultaneously the minute hand jumps ahead to the next full minute index. As the crown is turned to set the time, the hand always jumps to the next minute index – thus ensuring that the correct relationship between seconds and minutes is maintained. But this is a rare exception. An absolutely stunning watch that I fell in love with the first time I saw it. The blue dial is particularly special.